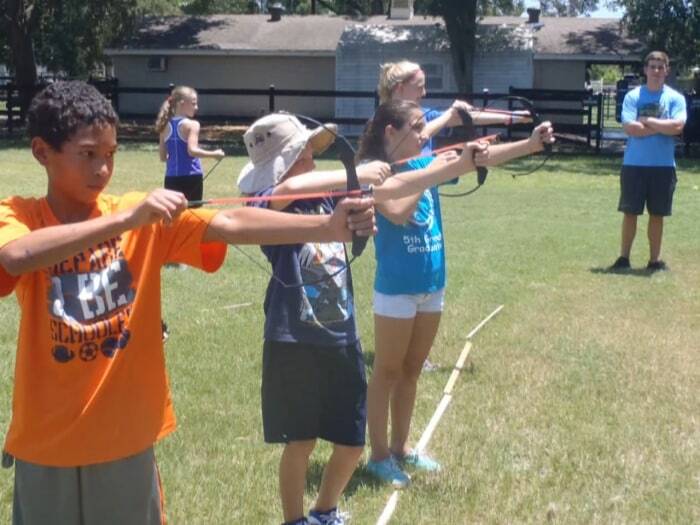 At Country Day Camp, kids got to participate in "The Hunger Games" -- sort of. Summer camp is traditionally a place where lots of kids get together, run around, swim, play games, maybe ride horses. And then there's one particular camp that's taken the games-playing to a new level. 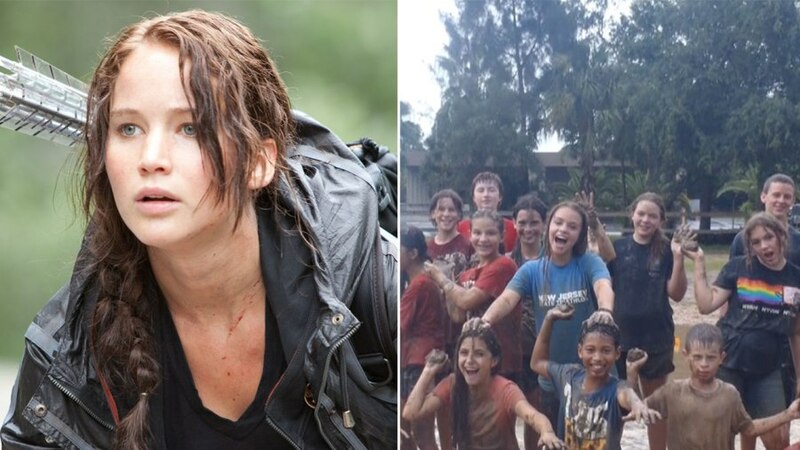 A Largo, Fla., Country Day School summer camp has been running a "Hunger Games" themed tournament, where 26 young participants are expected to fight one another to the "death," as the young people in the fictional "Hunger Games" books and movies do. In a piece reported by the Tampa Bay Times, the adolescents (of course) don't really fight to the death — it's all playacting. But the way the kids take on their roles means they end up telling each other things like, "I will probably kill you first" and "I might stab you." The children "kill" one another by pulling flag belts from their enemies' waists, and the camper with the most "lives" at tournament's end wins. The story quoted clinical psychologist Susan Toler as saying the camp idea was "unthinkable," noting that "when (children) start thinking and owning and adopting and assuming (those killer) roles, it becomes close to them. The violence becomes less egregious." In a statement posted to its blog, Country Day School denied that it encouraged violence. "Country Day School always prioritizes the emotional and physical safety of our students," the school wrote. "As we purposefully promote peace and kindness with all of our students, it is unthinkable that Country Day School would ever support or encourage violence." The school also explained its decision to offer a "Hunger Games" camp: "After careful consideration, we decided to offer a camp for middle school students centered on 'The Hunger Games' in response to adolescent interest in the popular book trilogy. Our decision was predicated on the development of a curriculum that replaced any subjects of violence with positive themes of character development and team building." The blog also offered a video "that provides an accurate overview of the camp." The Tampa Bay Times' response to the camp's stance indicates they are standing by their story. A statement the paper gave to TODAY reads: "Our reporter spent 20 hours over three days observing the camp. We published a fair and accurate story about what we saw, noting several times that camp leaders tried to steer the children away from violent themes." The Tampa Bay Times article ended, however, by showing that the camp was far from violence-free. One 11-year-old noted that he'd gotten "stepped on." "I'm sure it was an accident," said camp director Jared D'Alessio. The boy begged to differ, saying he'd been knocked down. "I got stepped on," he said. Country Day School denied the incident. "This misrepresentation and the suggestion that a child was hurt while in our care could not be further from the truth," the school wrote on its blog.